On the other hand, job growth is returning, the economy is expanding, and mortgage rates are rising. These 3 factors are thought to boost housing markets. 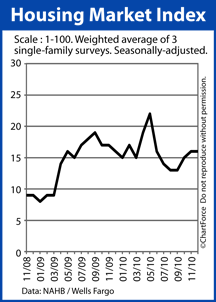 So, despite an unfavorable HMI reading, home builders might still be less willing to “make a deal”; holding out for a better 2011.